These are Texture hacks for New Super Mario Bros Wii. Use them via Riivolution or ISO file replacement. 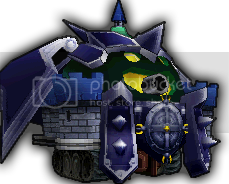 I do my best to take in-game screenshots for the icons so you can see the actual texture, but since the game has no camera function, I can’t zoom in on some characters like Yoshi, so I have to get an image from the web and edit it as accurately as possible to the actual texture. No worries, once I release the textures, I’ll post actual screens in the updates. And now Smashbro619 is pitching in! Can you do a retro Mario and Luigi texture? I’ll be keeping tabs on the site so I know when they’ll start being released =3 I would definitely make use of these if you release them though. I am new to hacking NSMBWii and how do I add textures to this game? Roster items have been updated. And hear this: Stage Textures coming soon. hey jose, out of curiosity what are the model types? Do you mean a Blue Koopa Troopa, or Blue Koopa Bowser? In japanese, Koopa means Bowser, so that is why I got a bit confused. Could you make a SMB3 style Mario & Luigi? Hey could you give me a link to a guide for this? Any possiabality of a file patch code for this comming out? A File Patch code like that for Brawl is technically impossible due to the fact that NSMBWii does not use an SD card for unloading any type of Data, which Brawl does. However, there might be a possibility of replacing files like the patch code via the Riivolution Homebrew app which is yet to be released. I’ll be sure to keep an eye on the subject. hey Jose! can i help out with some New SMB Wii textures too? i would definitely love to help as well! i have the character models already extracted from the iso but how do i extract the textures of them inside then reinsert them back in? Can You Make A SMB1 Mario And Luigi texture? Maybe A SMB3 Fire Mario & Luigi to go with the SMB3 Mario & Luigi. A SMW Cartoon Mario & Luigi would be cool if someone could make that. If there’s a way to texture hack Peach, then could you maybe make her in SMB2 style. And A Green Yoshi with black spikes/shell/shoes would be cool too. SMB2 Toad, All you have to do is change vest a little then make the shoes blue. are you going to release the textures now that theres a way to load the files easily? (riivolution). Keep up the good work! agreed, you should release these with riivolution out, I already tested it with a couple of stages and it works perfect. can you tell me wich program you use to edit .RAW files? With riivolution 1.01 out you should make a server for these. Where are the downloads for these hacks??? Can you do yellow koopa and mario from smb1? Can I help out too? I’m not too good with making textures but I can send them to you so you can see what’s wrong and stuff… Please? Mama Luigi, Mr.L, and Mr.M? Thanks. So you’re holding out on us until enough people ask for the downloads? Somebody needs his ego stroked. Nonetheless, I’d like the chance to use these textures as well. So….When is the release gonna be? Riivolution is out. The level editor is out. Hurry up and just release the damn textures or no one’s gonna keep bothering with this. I’m releasing NSMB wii textures. Jose, I want to make a Brawl texture but don’t wanna seem like I’m stepping on your toes or whatever, so I thought I’d let you know. Its ok, you can make whatever you wish. It doesn’t bother me at all, and shouldn’t bother anyone for that matter. However, Advertising without consent is frowned upon by the Net many, so I removed the link to your Blog from your previous comment. I’ll be happy to link to your Blog once you get some content though. Dude i been waiting along time for these look at this website for the XML to get the texture hacks running. website: http://nsmbmods.blogspot.com/ it shows all the cool stuff and the XML for the texture hacks for the Riivolution channel. thanks and please read this. P.S. im a mario Kart Wii hacker and can you make some Mario Kart Wii texture Hacks for everybody. Thanks for the props Cole4306. I’ve got some serious content now, and even a couple of extra contributors! Im working on SMB1 Mario and Luigi everybody! So stop posting comments about it! Is there any way to d othis without using wiirevolution? Thomas C., what you’re talking about isn’t texture hacking, it’s model replacement. Unlike SSBB, there’s no public tool available to edit NSMBw’s character models. So… you’re saying, give Luigi a texture that looks like Donkey Kong? Thomasc, I made a quick monkey suit for Mario. Check out a screenshot and video here. Hey darkly77, I added your site to the links section. I noticed that you have my site link on yours as well, thanks. But my name is Gallardo, not Gollardo, haha. Keep on hacking! how can i be one of the characters? I don’t have this game, so I’m only guessing, and reading part of the above post, but it seems like you would have to use WiiScrubber and edit a particular model file. Your suggestions are find on…I feel the notion of persistence is in particular vital…it’s what you do over time which matters…delivering steady top quality. How can you download it ??? I do wish you would release these soon. giv us the link already!!! Sorry, these are long overdue. But I had problems, one of them included not having internet (which I still don’t, but am borrowing). I will try releasing these soon. If there is any you would like me to release first, let me know. I’ll probably release them as batch links in the end. nice job, but please add a new download link. there is not 1 in sight. download smb3 mario and luigi?